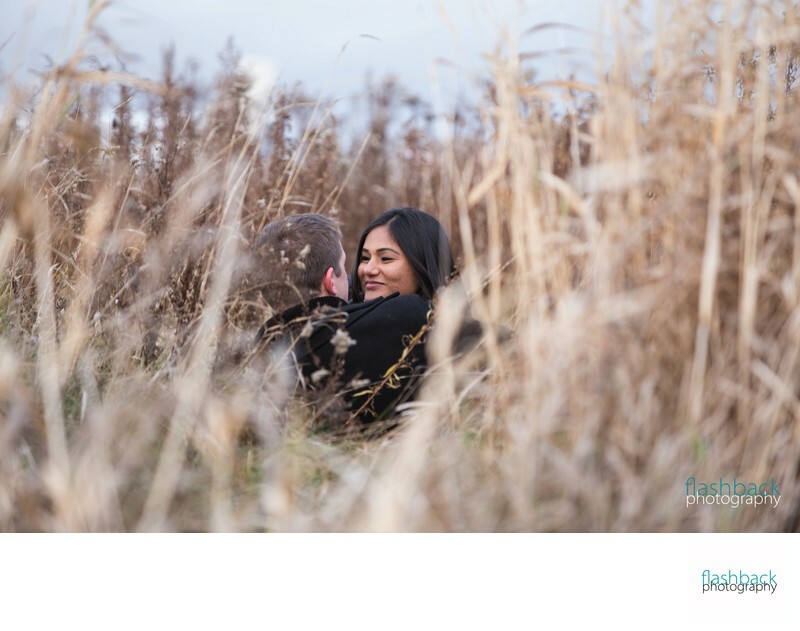 Timeline (Season): What is the best time of year for an engagement session? The first option is to schedule your engagement session to take place in the summer, creating a harmonious "look" between your engagement and wedding gallery. This is also a popular option, as you can be more flexible with your preferred outfit, and we can visit some locations that may not be as easily accessed in the winter. The most ideal months for a summertime engagement session are May-August. Autumn months are the most popular for engagements so please consider booking early if you have your heart set on the rich colours this beautiful province offers us. While autumn sessions can take place anytime in the months of September-November, the "prime" weeks are the week before Thanksgiving, the week of Thanksgiving, and the week immediately following Thanksgiving. 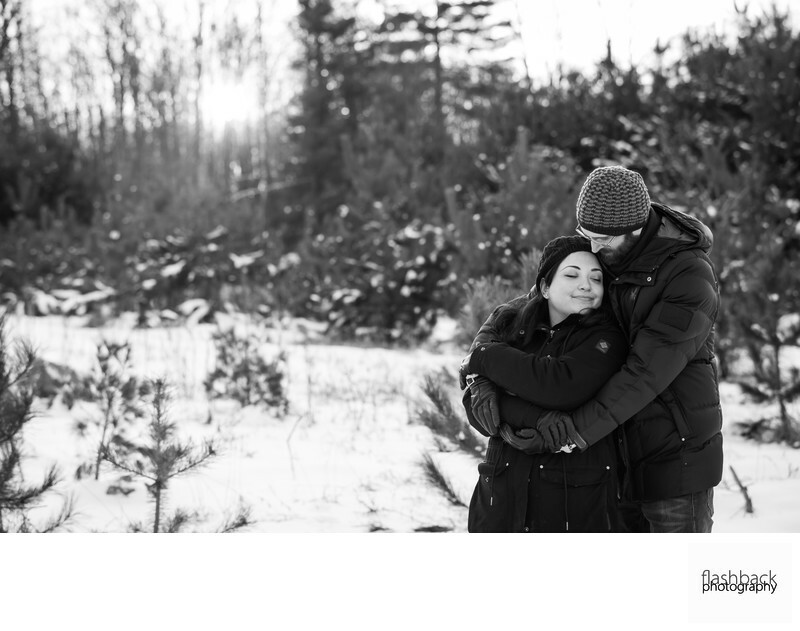 All of our studio sample albums feature a winter month for their engagement session because their wedding was in the summertime. Their vision was to create a contrasting "look" between their engagement and wedding portraits. In the album especially, this makes their love story look as though it extends for a significant length of time. Although winter engagement sessions can take place anytime from November-March, for the heaviest snowfall, I recommend the months of January and February. Timeline (Time of Day): What time of day is best for engagement photography? Regardless of the season, rural engagement sessions begin 90 minutes prior to the sun setting, and urban engagement sessions begin 2.5 hours prior to the sun setting to account for the sun dipping behind tall buildings before it actually has set. If you need to plan around your work schedule, keep this in mind as the sun sets much earlier in the winter than it does in the summer.